Wine aficionados, mark your calendars. The Austrian Wine Festival (see Facebook page) is returning in even grander fashion this year from Oct 15 to Nov 15. Expect wine dinners, wine fairs, housepours and tasting sets at some of Singapore's restaurants, both renowned and new. These include the likes of Les Amis, Brasserie Wolf, Esmirada, Bistro Soori, Fifty Three, Song of India, Bodega Y Tapas, Angelo’s, The Steakhouse, Warehouse Bistro as well as all four F&B outlets (Golden Peony, Lobby Lounge, Oscar's and The Terrace) of festival partner hotel The Conrad Centennial Singapore. At a wine-tasting session for the media, they managed to garner all the top chefs cooking signature samplers in one kitchen at Brasserie Wolf. This was absolutely something I had to see. I'm sure you recognise some of the more famous faces here. More than 60 Austrian wines from 20 premium wineries will be featured, including some that are making a first appearance in Singapore. 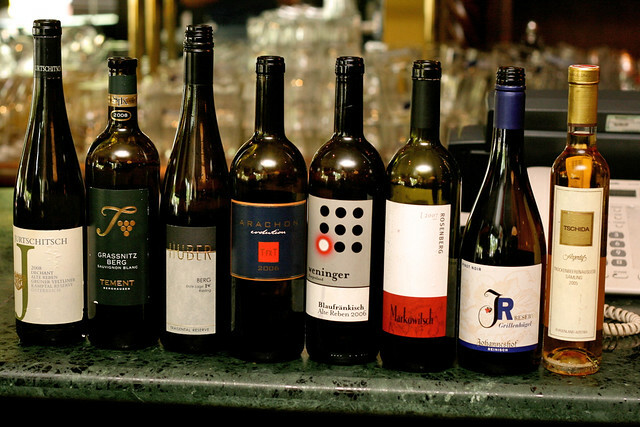 Austrian wines have recently been in the spotlight after gaining acclaim at international blind tasting events. 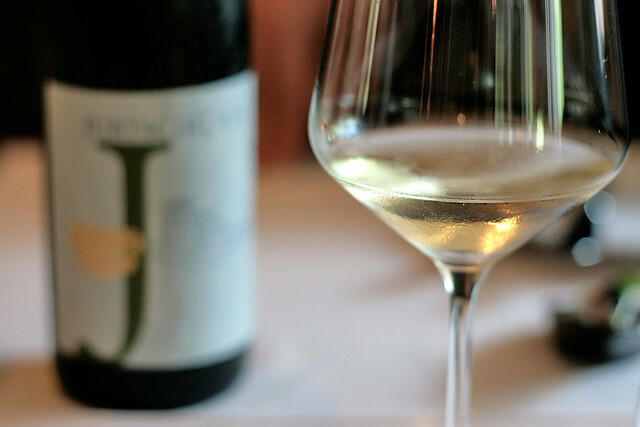 The Grüner Veltliners (a local Austrian grape) was even ranked above top French wines. Most of the wines are handcrafted from indigenous grape varieties at family owned wineries, and supply is limited. However, at S$45 to S$250 per bottle, these are priced very attractively. The wines will also be available by the glass. The wines featured at the tasting. We were encouraged to mix and match the wines with our food, there was no fixed pairing. I'm still learning about wines, and my dear friend TheHungryCow has been patiently educating my palate one sip at a time. But I found the white wines truly crisp and refreshing. This is the Jurtschitsch Grüner Veltliner, which I really liked. Let's take a look at some of the food that will be showcased during the wine festival. Full menus downloadable at the end of the post. 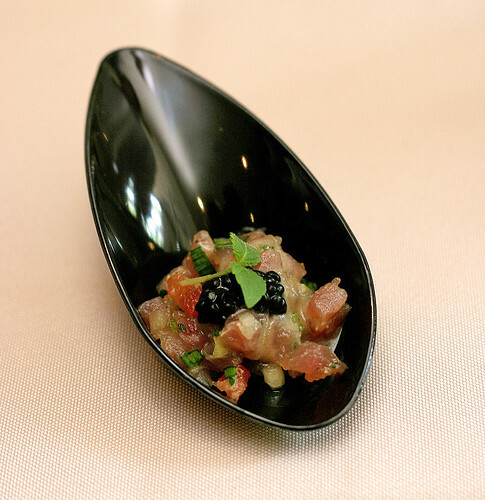 Canapes of Tuna with Avruga Roe - by Bistro Soori. One mouthful is not enough! 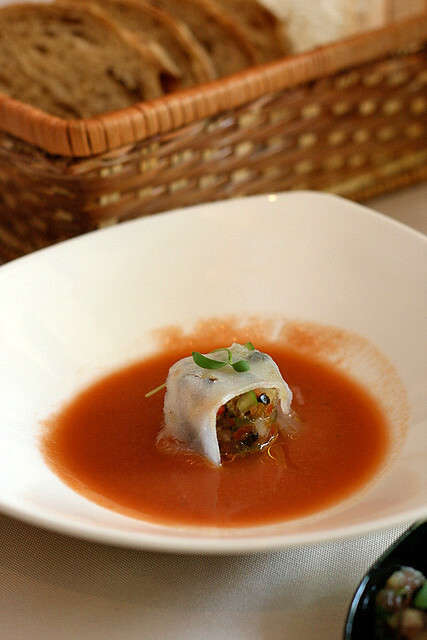 Gazpacho Andaluz - by Bodega Y Tapas. Interesting rendition. 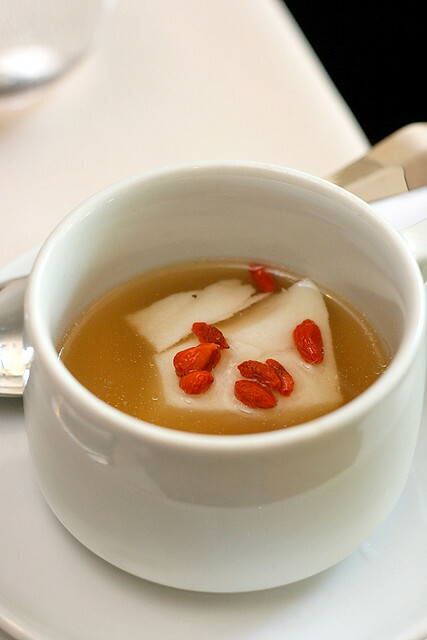 Steamed Cod Fish in Chinese Herbal Broth - by Golden Peony. Very healthy and comforting. Background (and I regret not taking a clear close-up of this): Foie Gras topped with Pan-seared Rosemary Quail Breast served on Walnut & Fig Bread, and sauced with Port Wine Brown Sauce Reduction - by Angelo's. It's simply divine! Angelo does not believe in overcrisping the foie gras, so it is still tender inside. Foreground: Mustard chilly infused spatchcock, chargrilled in tandoor with avocado garbanzo chat - by Song of India. 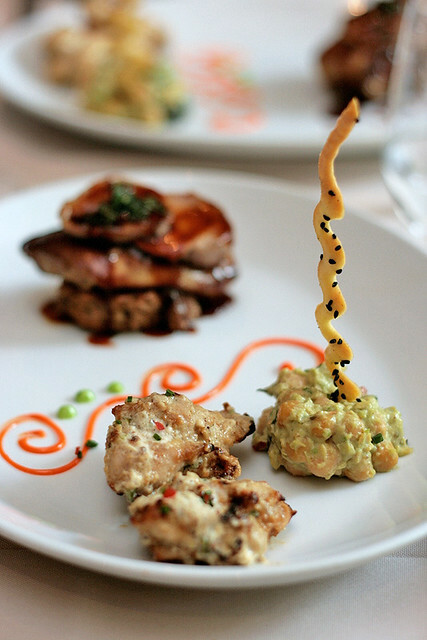 Milind Sovani is very good at adding a contemporary touch to Indian cuisine. 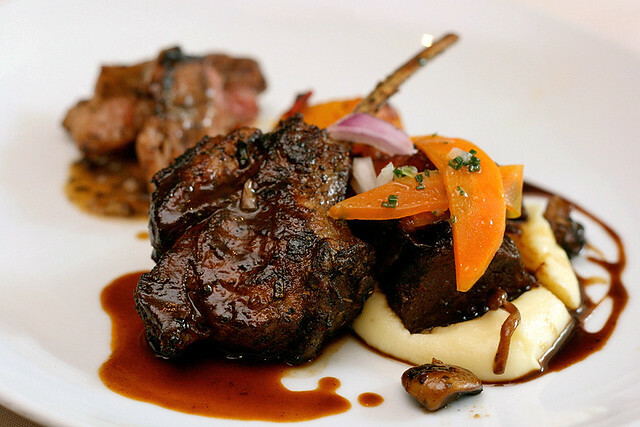 L-R: Charcoal Grilled Angus Sirloin (The Steakhouse), Grilled Lamb Cutlet with Greek Potatoes and Rosemary Sauce (Esmirada Group), Beef Bourguignon (Brasserie Wolf). All of which were executed competently, but I was most surprised by the flavoursome Greek potatoes. 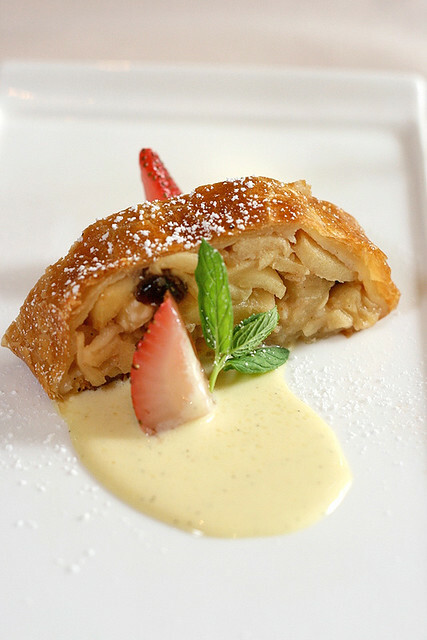 Homemade Apple Strudel served with Hazelnuts and Warm Vanilla Sauce - by Warehouse Bistro. This was served with a Tschida that was even sweeter than the dessert! Here are the detailed menus (correct as at date of dissemination). 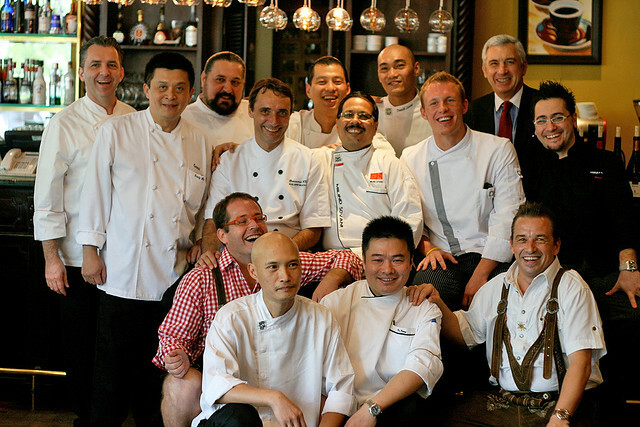 The opening Austrian Wine Festival Opening Dinner on 15 October 2010 at Brasserie Wolf will see a stellar cast of Singapore-based Austrian chefs preparing Austrian cuisine to go with the wines. 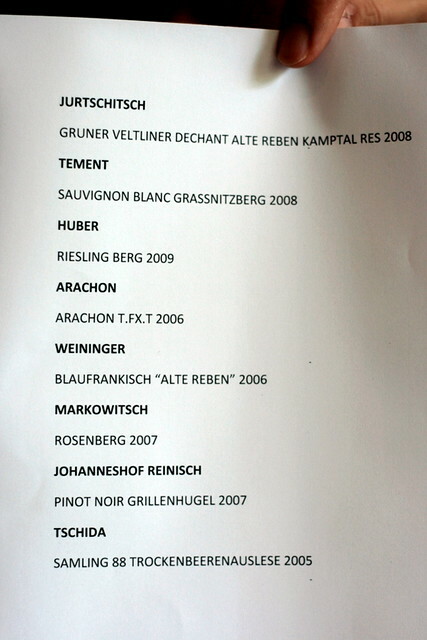 So here's to many happy bottles to be enjoyed at the Austrian Wine Festival 2010! My thanks to Sixth Sense Communications and the festival organisers for the invitation to meet the chefs and experience Austrian wine. 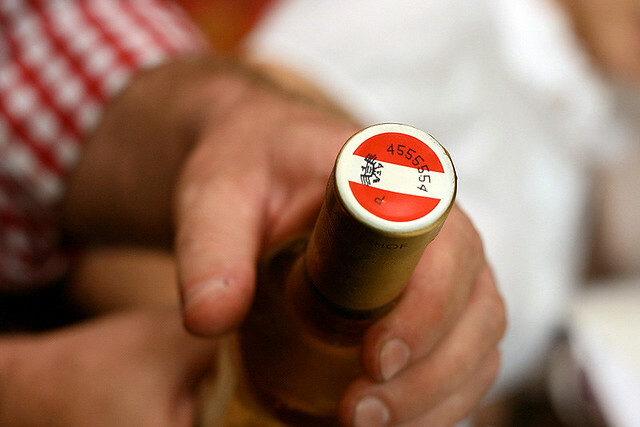 Every Austrian bottle of wine has this individualised stamp, which allows them to trace back to exact vineyard and vintage, etc. The foie gras is superb indeed. Glad you enjoyed it!